Hawks (ホークス, Hōkusu) are avian enemies that can be found in the Game Boy Donkey Kong. They are stubby and display broad crests that cover their heads. They seem to draw inspiration from birds of prey, as they have a raptorial beak, sharp talons, and pointed feathers. Hawks reside in a nest found in Stage 2-9 of the Forest. It lies on a platform next to Elevators, primarily accessible by riding the elevator on the left up to the nest. The nest spawns an indefinite amount of Hawks, which, upon slowly rising up from their small cottages, begin to fly in a straight line. They make a short descent and turn in the opposite direction whenever they encounter the screen's margins, continuing their usual flight afterwards. The aforementioned nest spawns one Hawks at a time, and each bird leaves the stage's area permanently after turning twice, subsequently allocating room to another Hawks. Whenever Hawks spot Mario beneath them during their flight, they briefly stop to drop an egg. Should the egg hit Mario, he loses a life; on the other hand, it can be deflected and neutralized with a handstand. The birds themselves are also dangerous to touch from any side, but can be defeated by simply throwing an object, such as a key, at them. These enemies are identical in behavior to Kaibādo, bird foes encountered by Mario prior to exploring Rocky-Valley. 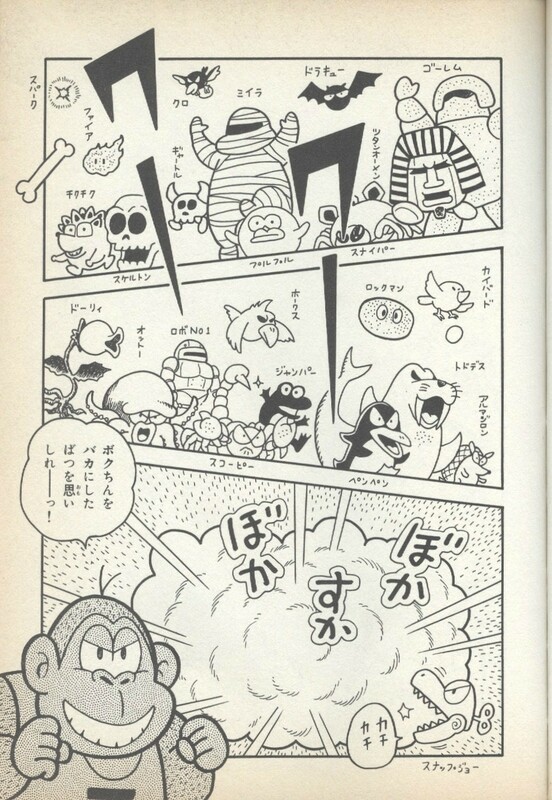 Both Hawks and Kaibādo are successors of Nitpickers, avian enemies from Donkey Kong Jr. for the arcade. A Hawks, as depicted in volume 30 of the KC Deluxe manga.